BY PERSONALLY BEING INVOLVED IN PARISH MINISTRIES TO ENHANCE OUR CONNECTION WITH THE CATHOLIC FAITH, SO WE MAY MORE FULLY APPRICIATE THE RICH TRADITIONS OF OUR RELIGION, ESPECIALLY THE MINISTRIES ESSENTIAL TO CELEBRATING THE MASS. BY JOYFULLY AND ACTIVELY PARTICIPATING IN MASS WEEKLY, ON HOLY DAYS, AND DAILY IF POSSIBLE. BY WORSHIPING GOD THROUGH THE RICH TRADITIONS OF OUR FAITH. BY SEEKING WAYS TO AID OUR SPIRITUAL GROWTH THROUGH PRAYER AND BY CELEBRATING AND SUPPORTING THE SEVEN SACRAMENTS. 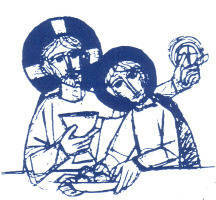 BY SUPPORTING MINISTRIES THAT PROVIDE HELP AND COMPASSION TO THOSE IN NEED, BOTH IN OUR PARISH AND IN THE COMMUNITY. BY PROVIDING LEADERSHIP IN CATHOLIC EDUCATION, LITURGY AND IN PARISH GOVERNANCE. BY CREATING AN ATMOSPHERE OF GRATEFUL GIVING. BY BECOMING A COMMUNITY OF WELCOME AND HOSPITALITY FOR ALL PERSONS, REGARDLESS OF THEIR CONDITION IN LIFE. BY PUBLICLY OFFERING FAITH-BASED PROGRAMS TO SHARE OUR CHRISTIAN MESSAGE WITH OTHER COMMUNITIES OF BELIEVERS. BY SETTING EXAMPLES OF GOOD CHRISTIAN LIFE. BY RESPONDING TO THE WIDER LOCAL AND GLOBAL COMMUNITIES WITH TIME, TALENTS AND TREASURES. BY EDUCATING EVERY MEMBER OF THE PARISH TO PROMOTE THE DIGNITY OF HUMAN LIFE IN ALL OF ITS STAGES. BY PROVIDING CONTINUING EDUCATION FOR ALL AGES IN A CHRISTIAN-BASED ENVIRONMENT. BY ESTABLISHING AND MAINTAINING EDUCATIONAL AND SOCIAL MINISTRIES TO NOURISH THE SPIRITUALITY OF OUR PARISHIONERS AND THE COMMUNITY AT LARGE.